What’s the Best Mattress for Teenagers In 2017? Raising a teenager is hard work. But buying a mattress for a teen? That’s just as hard. Should you upgrade to a full size bed? Is memory foam really necessary? There’s a lot to consider, and your teen will want a say in the matter, too. Coil or Foam: The first and most important question to ask yourself (or your teen) is whether coil or foam is best the option. Coil mattresses are typically more affordable and modern designs make them more comfortable than ever before. If you have a larger budget, you may consider a memory foam or a hybrid (memory foam and coil) model. Size: The size of the mattress is important, too. Most teens start out sleeping on a twin mattress, and it’s perfectly fine to stay with this size. But if you’re also purchasing new bedroom furniture, you may consider upgrading to a full size. Quality: Never underestimate the importance of quality when buying a mattress. Yes, your teenager is young, but it’s important to invest in a good quality mattress now to maintain back health early on. Buyer feedback is a great way to gauge the quality of a mattress, so pay close attention to what users are saying about the model before you consider buying it. These are the three most important points we kept in mind when compiling our list of the best mattresses for teens. Signature Sleep Contour 8 – The Contour 8 is one of Signature Sleep’s best-selling mattresses, and it’s easy to see why. Not only is this mattress affordable, but it also provides the best of both worlds: coil and memory foam. The Contour 8 features top and bottom layers of CertiPUR-US memory foam to give you cradling comfort while minimizing the feeling of the coils. In the middle of the mattress are 7-inch, 15-gauge coils. These coils allow for equal weight distribution. The combination of foam and independently cased coils alleviates pressure points for a restful night of sleep. And even though this mattress has coils, it’s still shipped compressed and vacuum sealed for convenience. 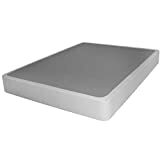 Arctic Dreams 10″ Cooling Gel Mattress – If your teen prefers memory foam but has trouble staying cool at night, the Artic Dreams 10” cooling gel mattress is a smart choice. Made in the USA, this mattress features gel-infused, breathable memory foam in its comfort layer for a better night of sleep. The Artic Dreams mattress comes in a comfort level of 6 and is medium plush for luxurious comfort. Available in multiple sizes (including twin XL and full XL), this mattress has three layers: a 0.75” layer of soft quilting, 3” of Energex cooling gel foam and a 6.25” layer of high density foam. With an affordable price, this mattress is a great choice for any teen. Englander Finale 10 – The Englander Finale 10” mattress is made in the USA and comes in a wide variety of sizes, from twin to California king. Like the Contour 8 mattress, this model features a combination of memory foam and springs for maximum comfort. 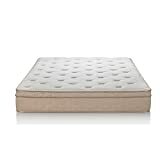 A plush top layer sits atop a layer of CertiPUR-US certified foam for cradling comfort. Beneath this layer is the 3-Zone Support System, which features individually wrapped coils that offer precise support to key areas of your body. The system offers three separate support zones, including a lumbar region that prevents pain and reduces pressure points. If your teen is suffering with back pain, the Englander Finale 10 may be the right choice for you. Sleep Master Smart Box Spring – The Sleep Master Smart Box Spring is actually a box spring – not a mattress. But it’s an ideal foundation for any one of the mattresses on our list, and it’s highly affordable. Quick and easy to assemble, this box spring features a sturdy steel structure and comes with all the tools you need to put it together in just four steps. The great thing about this box spring is that it also doubles as a bed frame, so if you’re on a tighter budget and need to buy a new frame, this model is a great choice. 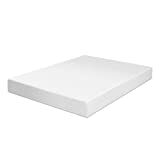 Best Price Mattress 8 – Best Price Mattress’ 8” memory foam mattress has a smaller profile, which is ideal for teens, and it comes in multiple sizes to accommodate all bed frames (including twin XL and even California king). This is a complete memory foam mattress, and it offers several eco-friendly features. Green tea extract and active charcoal are infused into the memory foam to absorb odors and moisture while keeping the mattress fresh and clean. Natural castor oil is also used to replace some of the petroleum in the foam. The comfortable design of this mattress alleviates pressure points for a deep, restful night of sleep. A bamboo fiber cover is included to protect the mattress. If you want a pure memory foam mattress, this model may be the right choice for you. Comfort Level: Get some input from your teen on his or her preferred comfort level. Should the mattress be firm, medium or soft? While you’re at it, ask your teen what type of mattress is best: memory foam or coil. Memory foam mattresses typically don’t have a firmness level, so keep this in mind. Sleeping Style: How does your teen normally sleep: on her side, back, stomach or a combination of all three? Side sleepers need mattresses that offer pressure point relief, while back sleepers will want a firmer mattress for better back support. Don’t underestimate the importance of your teen’s sleeping style. The wrong support level could cause pain or discomfort that makes it difficult to sleep through the night. Warranty: Don’t forget to consider any warranties. At the very least, the mattress should have a 5-year warranty, although 10-years or more is better. Warranties will protect your purchase, so if something goes wrong with the mattress, you can be made whole. Price: Finally, consider the cost of the mattress. Teens typically sleep on twin or full sized mattresses, which are the most affordable options. Even memory foam mattresses are affordable nowadays, and if you want to upgrade to a bigger size, the cost is typically minimal. No matter which type or size you choose, always make sure that the mattress is of high quality. Quality sleep will keep your teen healthy and focused at school. This entry was posted on June 27, 2016 by Carrie Gutierrez.